This is the story of a road, or rather a network of roads, a bundle of land and sea routes that for centuries, indeed millennia, helped move people, goods and knowledge from the eastern end of Asia to the Mediterranean and Europe. “Silk Road” is a romantic and recent name, but it conveys effectively the idea of a vast world, featuring an ancient history comprising wars, exchanges and trade. Along this great open road, threading its way through mountains and highlands, all sorts of things have travelled: spices, Chinese pottery, Iranian cobalt, paper, and of course silk. Alexandria, Chang’an, Samarkand, Bukhara, Baghdad, Istanbul are just some of the major stops along a thousand-year-long journey that leads us to the present day. The Silk Road is not a mere story of the past; it is one of the deep meanings shaping our global future. 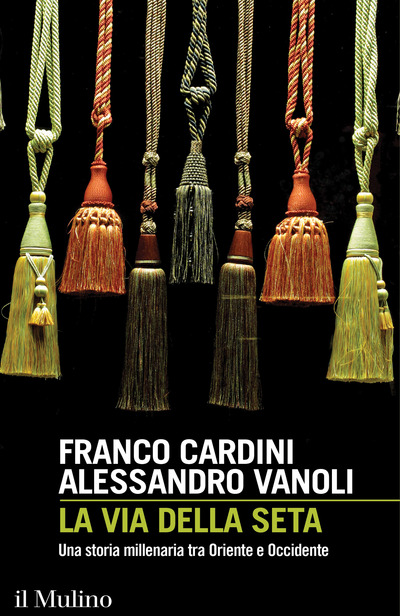 Franco Cardini is professor emeritus of Medieval History at the Italian Institute of Human and Social Science / Scuola Normale Superiore, directeur de recherches at the École des Hautes Études en Sciences Sociales in Paris and a fellow at Harvard University. Alessandro Vanoli is a medieval historian and an expert in Mediterranean history.